There's already one sadistic murderer on the loose at the Hotel Cortez, but the Ten Commandments Killer is about to have a whole lot of company in the upcoming American Horror Story: Hotel Halloween episode. Infamous real-life serial killers Aileen Wuornos and John Wayne Gacy will be checking in — and, as if that isn't creepy enough, we recently learned that Seth Gabel will portray Jeffrey Dahmer on American Horror Story: Hotel . Although his exact episodes haven't been confirmed, it seems highly likely that he'll be in the Halloween special alongside Wuornos and Gacy. The episode's premise has been described by Entertainment Weekly as a "dinner party from hell" — and, considering Dahmer is best known for cannibalizing his victims, I'm a little scared about what this evening might entail. It's safe to assume that Wuornos, Gacy, and Dahmer will be appearing in ghost form since it's Halloween and all three killers are now deceased. Wuornos and Gacy were both executed for their crimes, but Dahmer was killed in prison by a fellow inmate. He received 15 life sentences for the 17 murders he committed between 1978 and 1991 — but Dahmer served less than three years in jail before being beaten to death by Christopher Scarver in 1994. According to Biography, Dahmer "adjusted well to prison life." He reportedly was allowed into the general population at his own request, and was baptized by a local preacher after finding religion. But, his killer recently provided a very different account of Dahmer's behavior during his time at the Columbia Correctional Institution. Earlier this year, Scarver was interviewed by the New York Post and stated that Dahmer repeatedly provoked fellow inmates with his sick sense of humor. According to the report, "he would fashion severed limbs out of prison food to taunt the other inmates... He’d drizzle on packets of ketchup as blood." Scarver claims he kept his distance from Dahmer throughout his incarceration because he didn't want to become the target of his pranks — but he was deeply disturbed by Dahmer's crimes and he even carried a news story about them in his pocket. 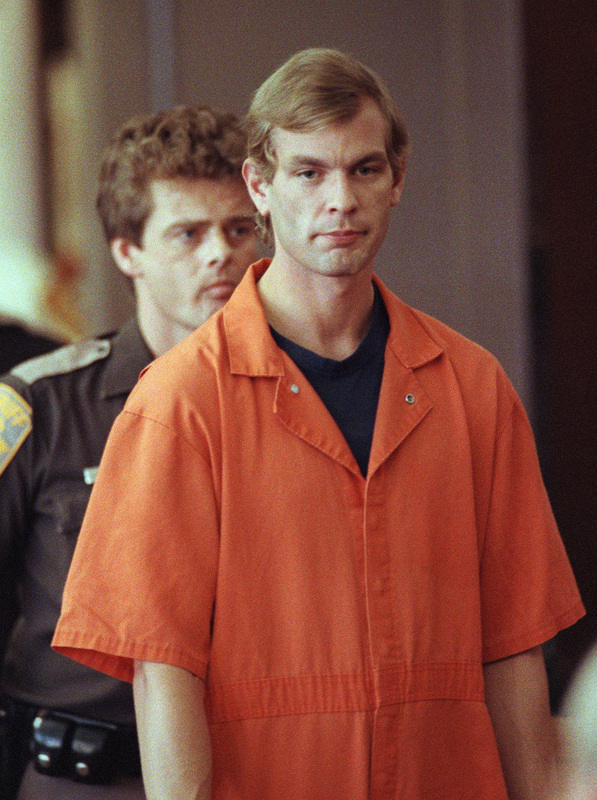 In November 1994, Scarver was left alone with Dahmer and another inmate, Jesse Anderson. I asked him if he did those things ’cause I was fiercely disgusted. He was shocked. Yes, he was... He started looking for the door pretty quick. I blocked him... He ended up dead. I put his head down. After crushing Dahmer's skull, Scarver killed Anderson in the same manner. In the same interview, he claims that prison guards also wanted Dahmer dead and they deliberately left Scarver alone with him. However, an investigation of the killings determined that Scarver acted alone. He was already serving a life sentence for the murder of his former boss, and Scarver received two additional life terms for the killings of Dahmer and Anderson. What will happen when all these serial killers converge at the Hotel Cortez? We may be in for American Horror Story's scariest Halloween special yet.